I adore both Debbie and Jocelyn. Two powerful creative manifesters. Listen in. Heard in this podcast interview on leadership in the new age with Bob Anderson. While I am not convinced these 36 questions lead to love, they sure will make for a deep moment amongst friends. The podcast episode is worth a listen. I just spent the last 2 hours listening to episodes of Kind World. 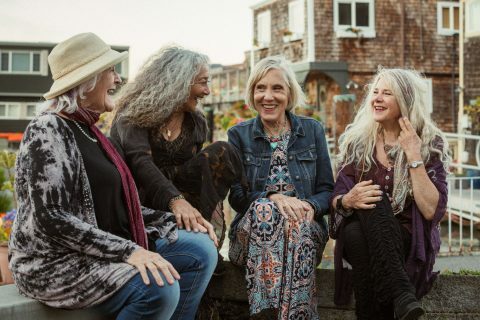 A beautiful podcast celebrating humanity at its best, packed with compassion and heart-forward humans. While I still have many ore episodes to discover, this one, about a kind man called Karim, who built an invisible community with this acts of kindness, really moved me. Completely enamored with I See Rivers since I saw them perform at the Do Lectures a few weeks ago and I have been listening to their tunes nonstop ever since. 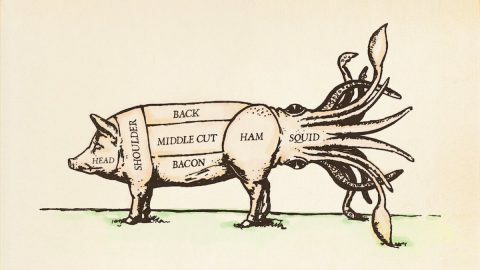 The fine folks of This American Life got a tip about a meat plant selling pig intestines as fake calamari. They investigated and now I can never eat Calamari again. In this Hurrly Slowly episode on Feedback Jocelyn speaks on how criticism constrains creativity, while questions and appreciations help it expand. And, why effective feedback focuses on outcomes, not just opinions. 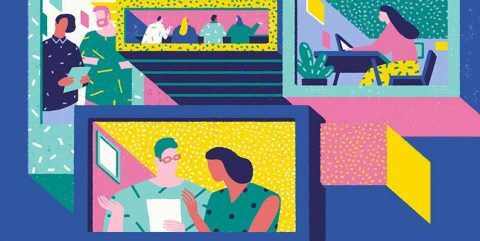 I appreciate the intention behind the Role Models Podcast: Interviewing women with inspiring careers so more women feel encouraged to aim higher. And I am honored I was asked to be on it. Here’s the most recent episode with yours truly. Thank you David for your thoughtfulness and making this so easy for me. Also, I talk a mile a minute. 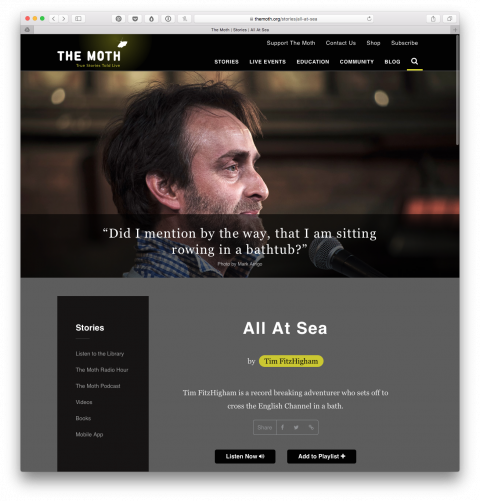 This story by Tim FitzHigham, about crossing the English Channel in a bathtub, must be my favorite The Moth story I have ever heard. It is laugh out funny. Wow! Spike Jonze Ad for Apple! Some more background info here. Delightful.